It was originally used to show how small these gadgets had become, that’s what’s funny about it. 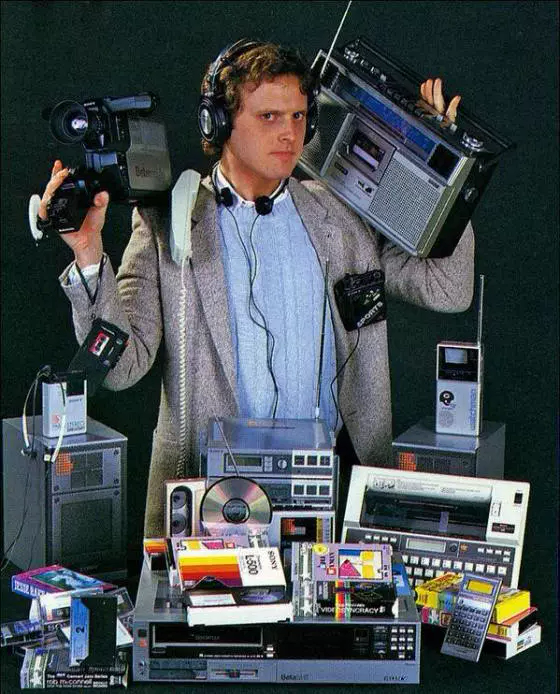 Back when this photo was taken, I’d estimate about 1983-1984, it was a fun time to be a gadget hound. There were so many different things to look at, shop for, and drool over. Today, it’s basically your phone and some apps. That’s why I wrote this article in 2015, asking honestly if there was anything our phones couldn’t do. More importantly, what was there even to ask of our phones? It’s true that we’ve seen only incremental changes since 2015. 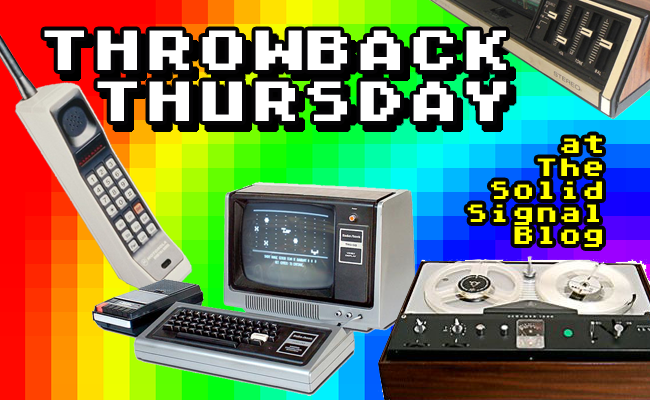 In 2015, electronic payment like Apple Pay was in its infancy. Most stores didn’t support it. Streaming video was around, but unlimited high-speed data plans weren’t. High quality photography was really still limited to SLR cameras. Since then, we’ve learned to take electronic wallets, watching full-length movies on our phones, and amazing cameras for granted. These have been small changes but they’re still changes. I think the one thing we were expecting that really hasn’t found a use is augmented reality. We’re all aware of the idea, but it hasn’t caught on yet. We’d like to see real-time, seamless translation of words and pictures, augmented reality directions, and other uses we haven’t even thought of yet. we have seen a big jump in smart home tech. It’s a whole new class of gadget that barely existed in the world of 2015. Who among us hasn’t put in a Wi-Fi doorbell or a smart outlet? Who among us hasn’t asked Alexa to do something? Just when you think the world of gadgets has slowed, it goes in a completely different direction. What’s interesting is that when we ask, “what do we need besides a phone” there’s your answer. Your phone can interact with your smart home stuff but it can’t be an outlet, a thermostat, or a light bulb. Gadgets have started to transform the common electrical bits that make up our lives. Back in 2015 we saw early hints of this but there was no indication it would become so commonplace so quickly. It’s gotten so pervasive that we don’t even ask “should I put in smart home stuff.” We ask instead, “what new smart home stuff do I even want?” We don’t really want wi-fi enabled socks, except we kind of do. I mean who wouldn’t like to ask Alexa where you left one sock? So, peak gadget? I think not. I have every reason to believe that in another four years, we’ll have something else to lust over. And hopefully, you’ll find it available at Solid Signal. Why can’t you just tell me what my cell booster’s range is?